What’s it like in your new city? Oh, won’t you rescue me? 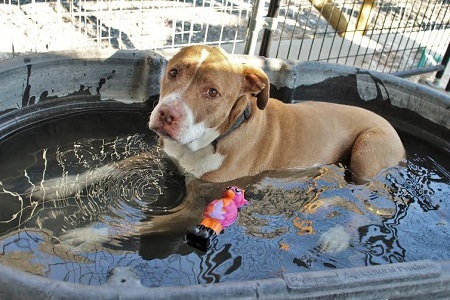 This Delilah is an 8 year old Pit Mix with the sweetest temperament and a love for water. She is great with people of all ages and all other animals. Want to take this girl swimming before summer is over? 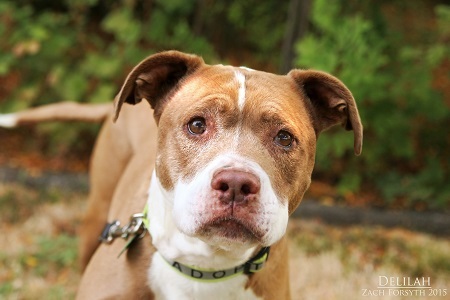 Fill out the adoption application and send it in so we can schedule a meet and greet! She is fixed, vaccinated and microchipped. Her adoption fee is $150.